Angelico Press continues to build its empire as the premiere publisher of imaginative and intellectually rigorous traditional Catholic books, both new titles and reprints of old ones. (If you go through their online catalogue, you will see why I say this.) I was reminded of this fact recently when looking at three new books from Angelico, each of which will hold great interest for Catholics who are serious about the philosophical and theological dimensions of the sacred liturgy. 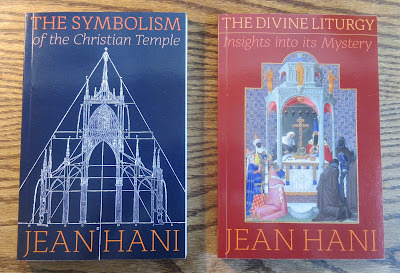 First, Angelico has prepared new editions (freshly typeset) of a pair of superb books by Jean Hani (1917-2012), namely, The Divine Liturgy: Insights Into Its Mystery (published in French in 1981 and in English translation in 2008) and The Symbolism of the Christian Temple (published in French in 1978 and in English translation in 2007). The two books clearly belong together: while there is no duplication of content, there is a kind of double-helix relationship between them. These books are extremely penetrating commentaries on the structure and symbolism of the liturgy, its spatio-temporal environment, and the fundamental cosmic and anthropological foundations on which it rests. In this sense, one may describe these books as delivering a comprehensive phenomenology of traditional liturgy, but without the cluttersome jargon typical of much modern French academic writing. Hani's style is refreshingly straightforward as he impressively weaves together numerological, cosmological, psychological, and mystical modes of discourse. Were there ever any doubt that traditional Christian liturgy is deeper than the deepest ocean and vaster than the canopy of heaven, these two books would obliterate it instantly. The books are graced with many diagrams and photographs that illustrate the points made in the text. Hani conscientious connects universal axioms or postulates to concrete examples of them, particularly from the Middle Ages, so that he does not seem to be spinning ideas out of his fantasy. One cannot fail to notice that these books constitute a subtle critique of modern liturgical reform and the shallow and shifting foundation on which it rests, as compared with the massive pillars that support the liturgical rites of East and West to which he continually refers. Turning to Jean Borella (b. 1930), a retired professor of metaphysics and the history of ancient and medieval philosophy at the University of Nancy II, I am afraid it will be difficult to do any justice to his elaborate and challenging book (or rather, two books in one): The Crisis of Religious Symbolism and Symbolism & Reality, in never-before-published translations by G. John Champoux. The reason I put this book together with the Jean Hani is that readers of the one author are definitely going to be interested in the other. They both attend closely to "mythocosmology" and the way in which reality is not only understood through but even structured and articulated by the story that a culture tells about it (this may sound relativistic but it isn't, at least not in the hands of Hani and Borella, who combine realist metaphysics with linguistics, hermeneutics, and symbology). Here is the table of contents -- a formidable enough outline of this hugely ambitious work. I will not mislead my NLM readers: this is a dense and difficult book, playing with all stops on the pipe organ of the Western intellectual tradition. Borella is simultaneously wrestling with dozens of philosophers from all periods, executing one masterful judo-move after another as he throws down modern and post-modern thinkers by leveraging their own intellectual maneuvers. The running critiques of Kant, Hegel, Marx, Freud, and other "deconstructors" is exhilarating, even if occasionally the wheels get bogged down in French semantic theory. Ultimately, this book is a potent refutation of the pseudo-rational narcissism of far too much of academic thought and a triumphant vindication of the sacred cosmos rooted in the eternal Logos, a horizon still accessible to us if we can clear away the mental fog that artificially separates us from it. 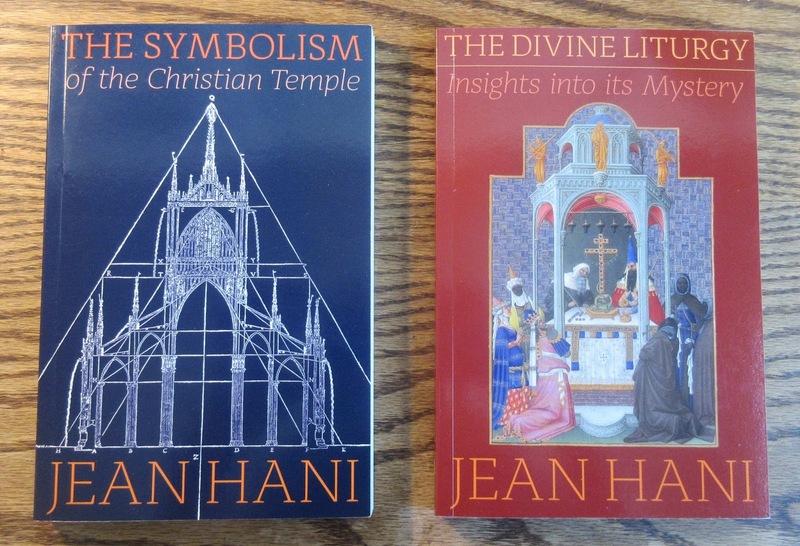 Lovers of symbols and chants, check out the Hani books. Students of modern and contemporary philosophy, make sure you add Borella to your list.